Some of our collection is cataloged in the Transylvania Library Catalog. We also recommend searching the Kentucky Digital Library where our 19th century Medical Theses Collection, the Doris Ulmann and the Bullock collections of photographs are available, as well as the collections of many other Special Collections and Archives in Kentucky. You can browse and learn about the artwork of the college hanging in the library and elsewhere. 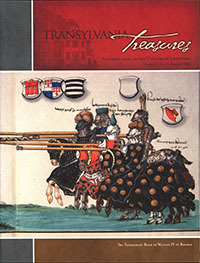 You can also browse through the Transylvania Treasures publication to learn more about our history and some of the unique items we own. 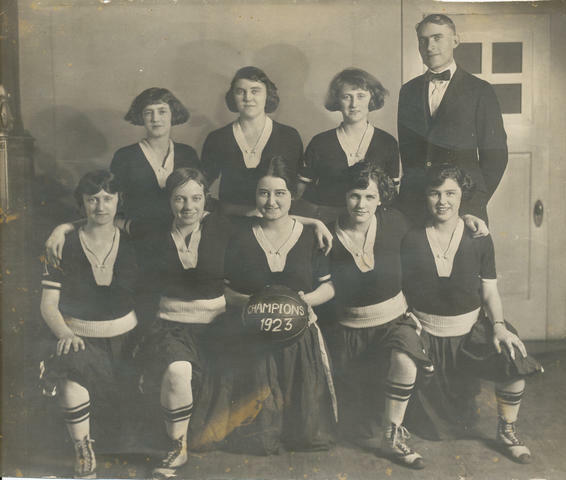 In the process of being scanned, these photos cover the 1920s to current. This database is in the process of being built. We are adding and describing the Scientific Apparatus held in the Moosnick Collection and slowly adding information on the portraits, student artwork and other artifacts. If you are interested in supporting this work with a monetary donation, please contact Susan Brown, Library Director. 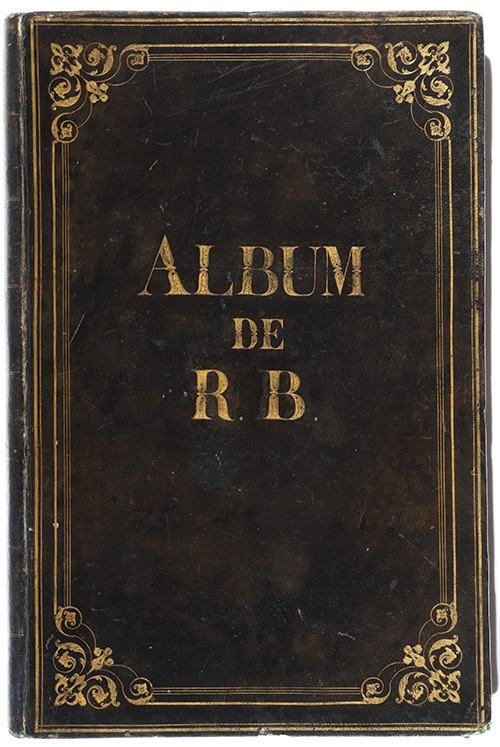 The Bonheur Sketchbook is an item in the Clara Peck Collection and contains studies for some of this famous 19th century woman artist's famous paintings. 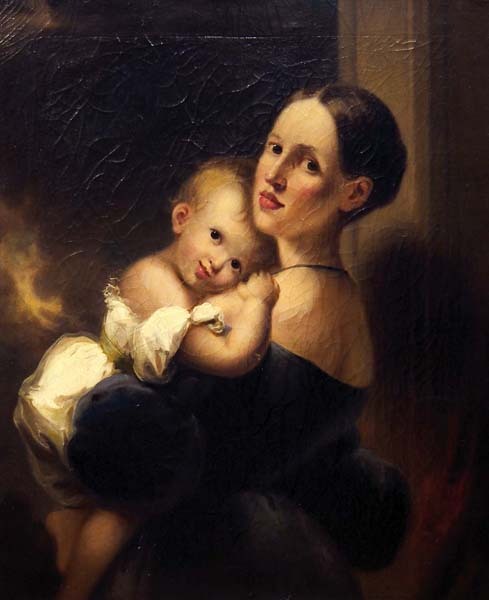 Her subjects were country and farm scenes including horses, cattle, etc. More information on the Sketchbook is available from an article published in Transylvania Treasures, Volume 3, Number 1, page 4. More on Bonheur from wikipedia. 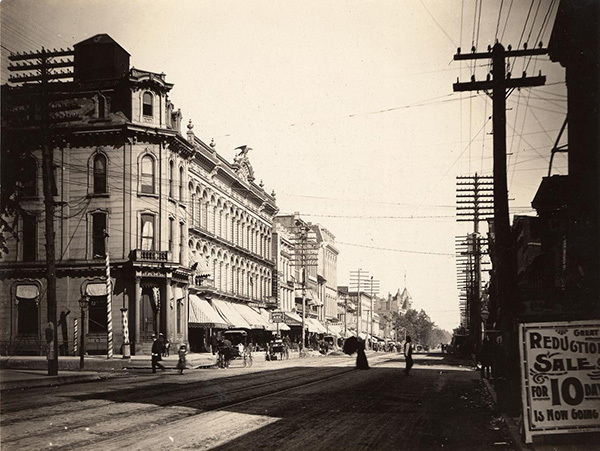 This collection of photographs taken in and around Lexington and Fayette County, Kentucky, includes images of local buildings, businesses, racetracks, banks, schools, churches, and homes. Also present are photographs of the courthouse, public library, orphan asylum, jail, and Transylvania University. The Coleman Scrapbooks contain a wide range of historic materials and news clippings collected by J. Winston Coleman, Lexington historian. 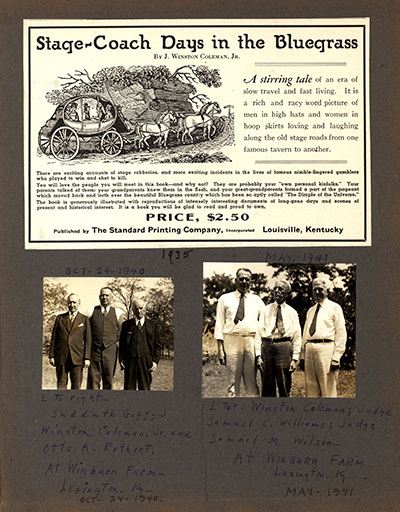 Materials included in the scrapbooks range in date from the 1700s through the 1980s and cover Lexington and Kentucky history, or anything else that struck Squire Coleman's fancy. 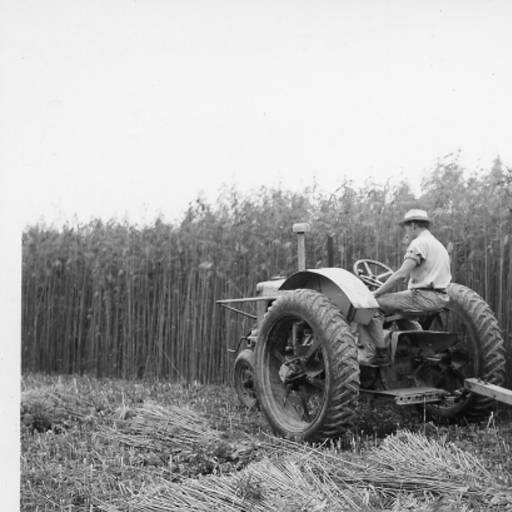 This collection includes photos of the Lockett trial mob, street scenes of Lexington, and photos of hemp production. Includes letters written by Haselden to her mother during the period she attended Hamilton College and Transylvania University in Lexington, Kentucky (1922-1924). 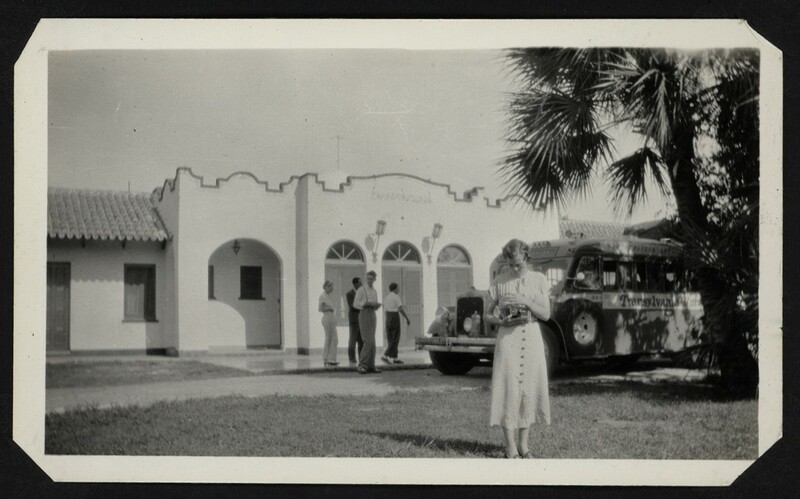 ; a travel log of her cruise to Europe; photographs of a Transylvania University trip to Mexico (1936); and an album with photographs and news clippings from her time as professor at Murray State University and University of Kentucky. The Transylvania Library has a copy of one of the oldest women’s magazines to be published in North America. Dr. Bethany Packard became very excited about this and its potential impact on her students, when she learned about it in 2016. 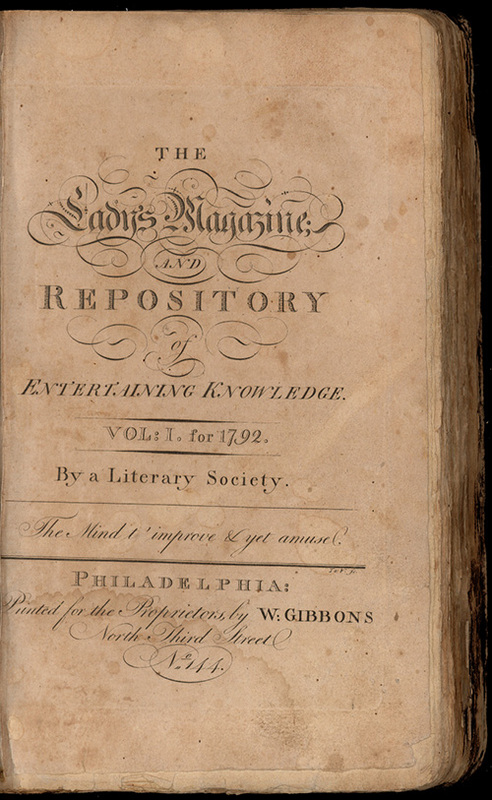 She requested several of the articles from this be digitized for her class Women's Literature: English / Women's Studies 2144. After seeing that the content was not available for free anywhere, BJ Gooch, Special Collections Librarian, requested that we digitize the whole volume. Our technical services librarian made this happen and loaded it onto software called CONTENTdm. This is now available not only to our own students but to scholars all over the world via Worldcat, an international catalog of materials held by libraries. It is also available here on the Transy Library website. It is a fascinating read with interesting content that tells us a lot about the life of women in the late 1700s. Beginning on page 189, it includes an early version of Vindication of the Rights of Woman which was published in 1792 in England. Transylvania University Library. 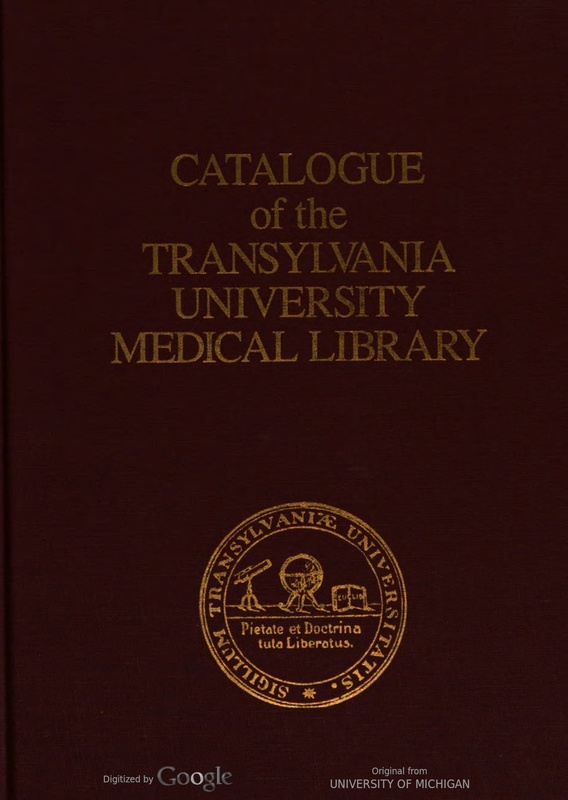 Catalogue of the Transylvania University Medical Library. Lexington, Ky.: Transylvania University Press, 1987. Full text of the printed catalog of our Medical collection. This collection was bought by faculty in two major buying trips in the 1820s and in the 1830s. 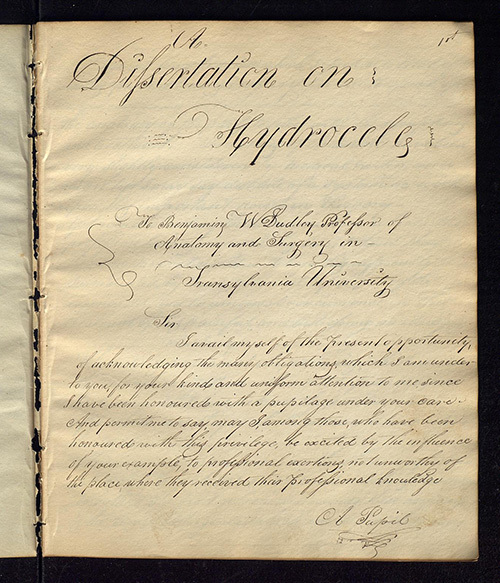 The Medical Thesis Collection consists of more than 1,800 theses which were written by Transylvania medical students between 1819 and 1859. The Medical Thesis was written at the culmination of the medical degree at Transylvania. They are hand written in the approximate equivalent to the modern blue book. This collection has the potential to impact scholars’ understanding of medical history and is scanned and available online. 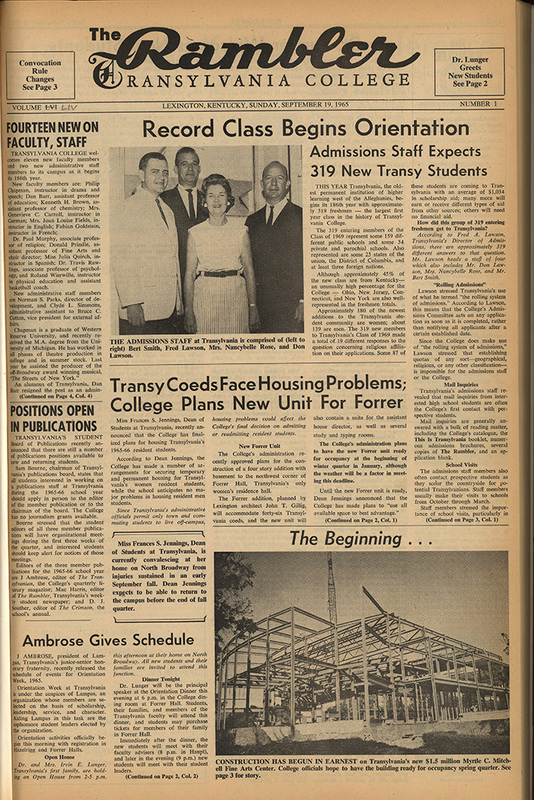 Explore the digital copies of Transylvania's student newspaper. 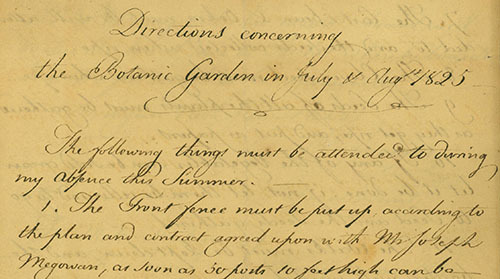 Documents about the creation of the Transylvania Botanical Garden in the 1820s by faculty member Constantine Rafinesque. 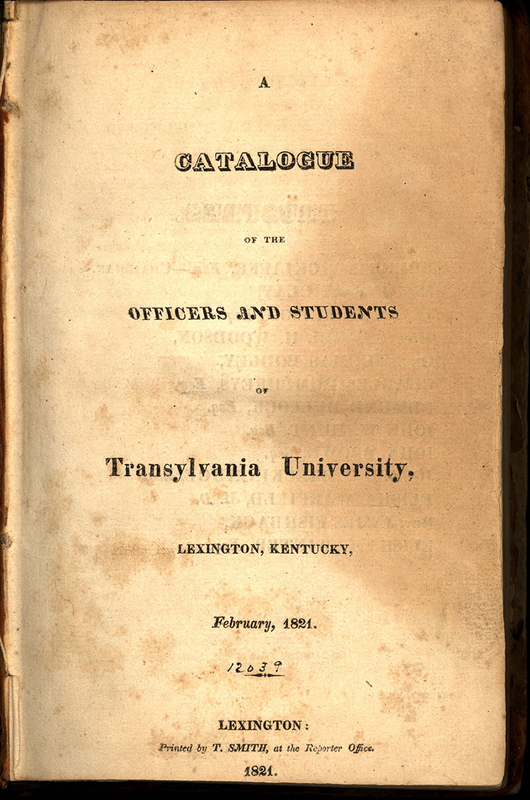 Created with the support of Dr. Charles Ambrose, Transylvania Treasures was first published in 2008 and features short articles on many of the items owned by Transylvania as well as information about some of the faculty and staff of Transylvania. 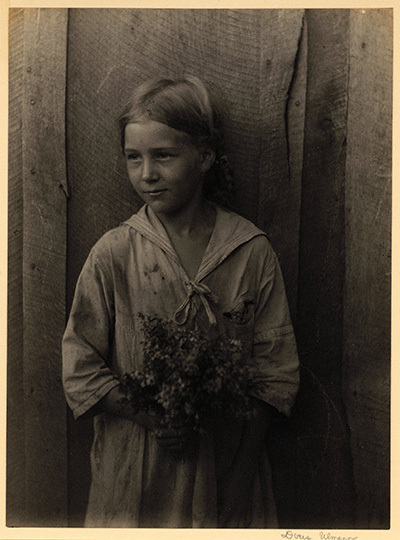 A collection of twenty-three photographs of Appalachian people by the WPA photographer Doris Ulmann. She was famous for her portraits. Digitized copies of some of the historic documents of Transylvania. Dates of materials range from the early 1820s through the 21st century.